Definition at line 52 of file llhudeffectpointat.cpp. Definition at line 58 of file llhudeffectpointat.cpp. Definition at line 54 of file llhudeffectpointat.cpp. Definition at line 49 of file llhudeffectpointat.cpp. Definition at line 68 of file llhudeffectpointat.cpp. Definition at line 60 of file llhudeffectpointat.cpp. Definition at line 48 of file llhudeffectpointat.cpp. 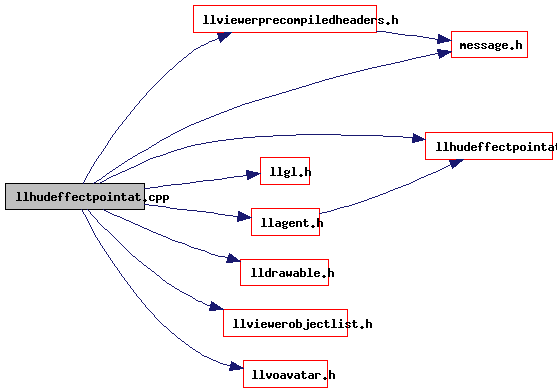 Referenced by LLHUDEffectPointAt::packData(), and LLHUDEffectPointAt::unpackData(). Definition at line 45 of file llhudeffectpointat.cpp. Definition at line 46 of file llhudeffectpointat.cpp. Definition at line 47 of file llhudeffectpointat.cpp.